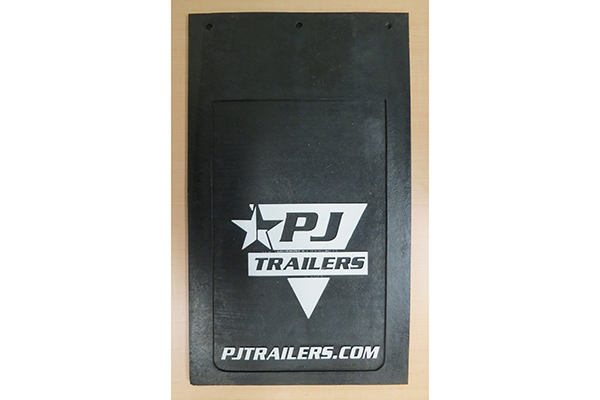 Offers additional storage for chains, straps, binders, gloves, etc. 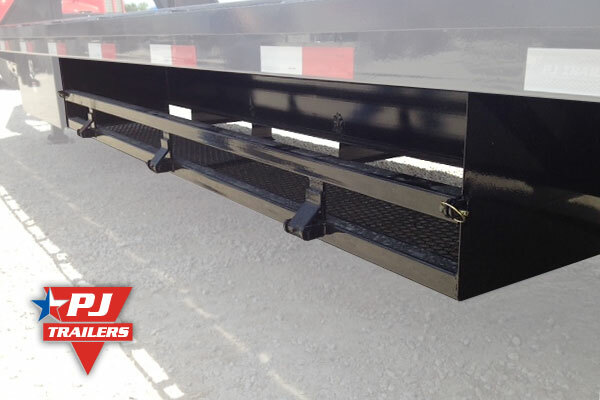 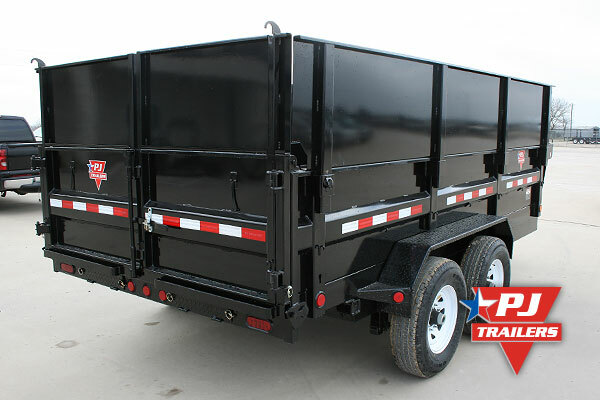 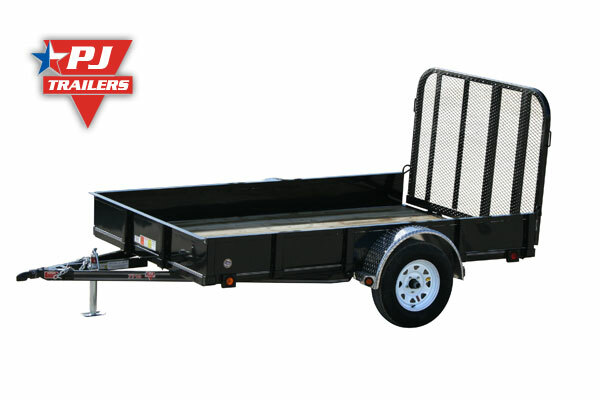 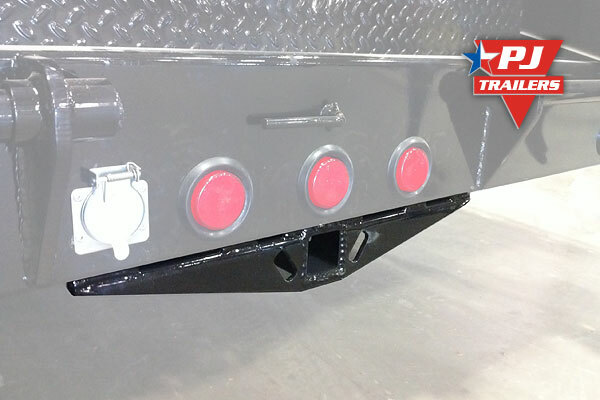 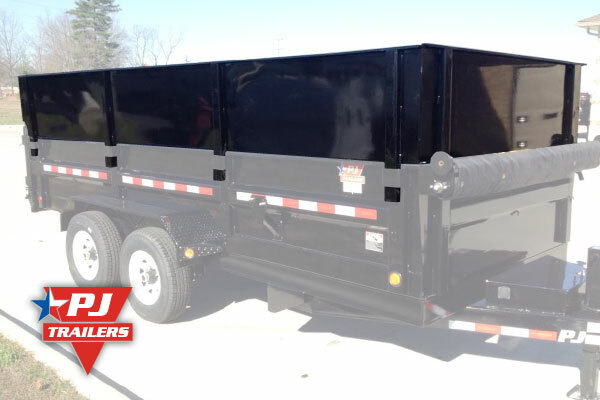 We offer 22" Solid Metal Sides with a 2" Pipetop Rail on our channel frame utility trailers (U6, U7, & U8). 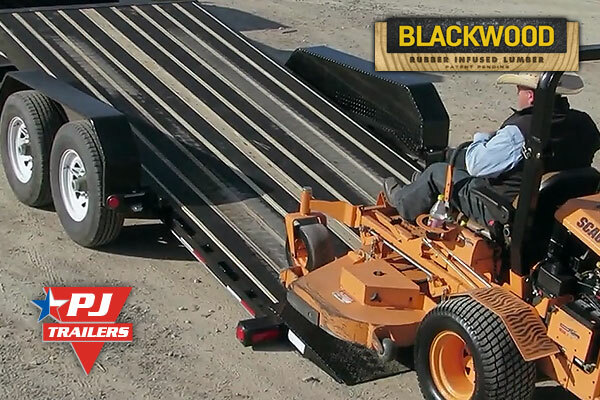 This option is quite popular with contractors, landscapers, and rental customers. 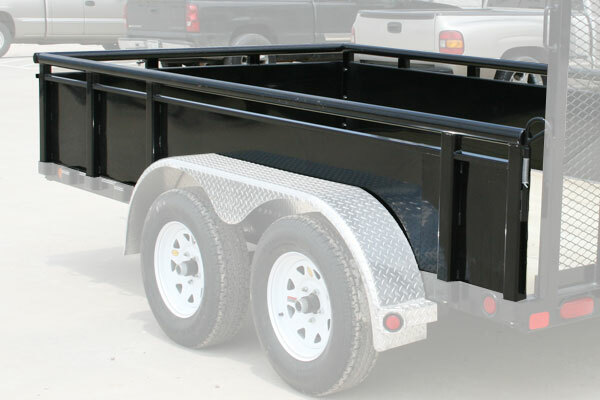 Also, some prefer solid metal sides over expanded metal, since signs & graphics can be applied directly to the trailer's side. 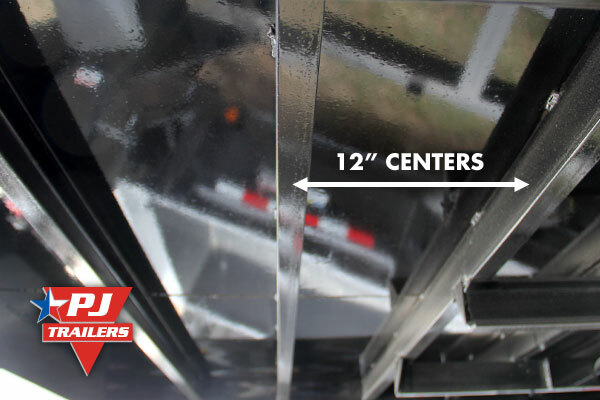 Total side height is 22"
Our deck on the neck option turns an area that is typically wasted into highly usable deck space. 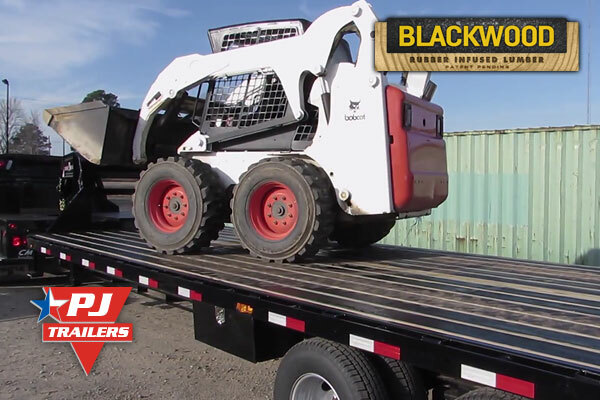 This option is quite popular for hauling attachments, tools, bales, and palleted cargo. 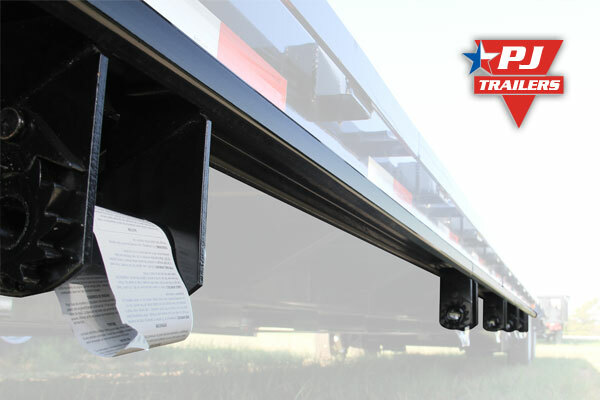 It is also used on some hot-shot trailers since it allows the driver to carry additional cargo. 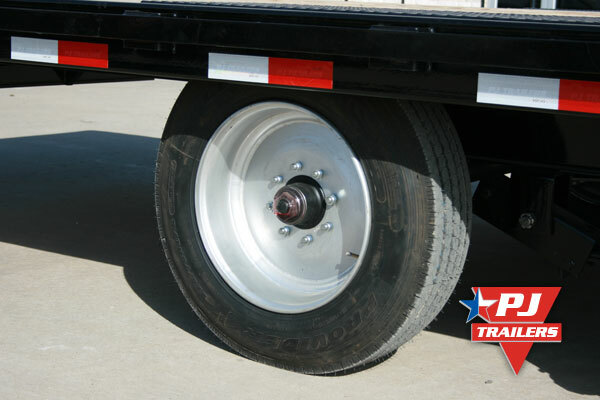 17.5" tires have become quite popular for high mileage trailers especially in the hot shot, oil field, and transport services. 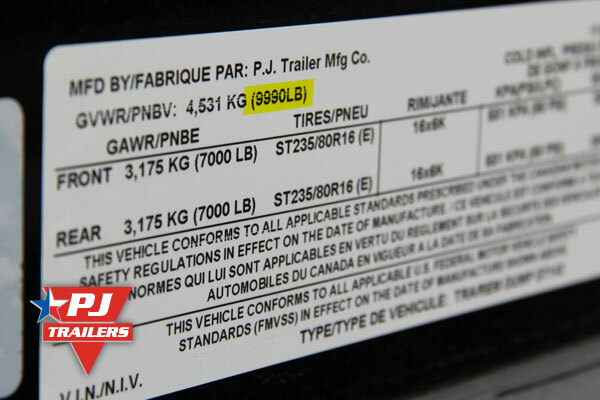 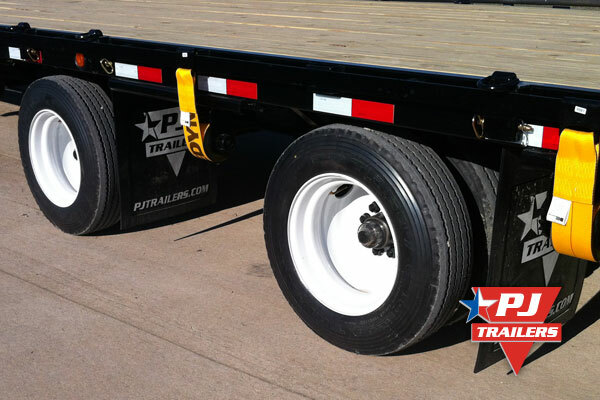 These tires are offered in load range H (16 ply) and load range J (18 ply) ratings. 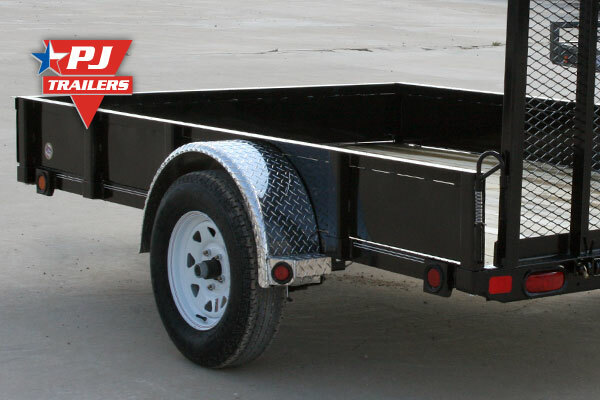 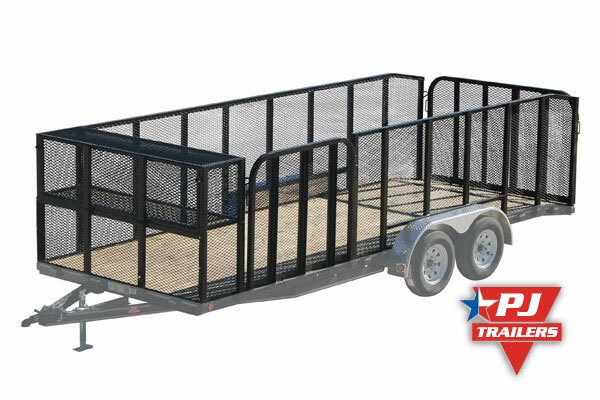 We offer both 2 ft & 4ft expanded metal sides on our channel frame utility trailers (U6, U7, & U8). 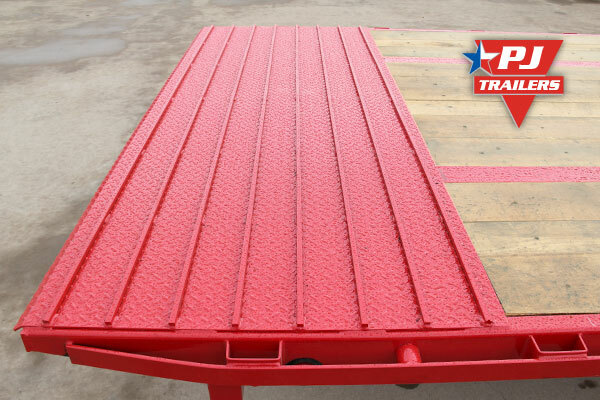 These sides are most popular for landscaping, hauling brush, and ATV/UTV use. 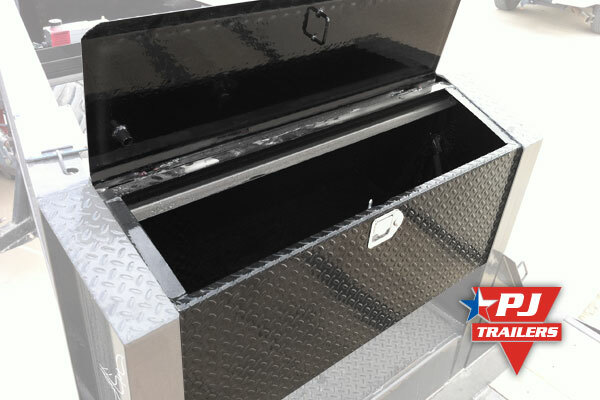 Our landscape tool boxes mount at the front of utility trailers and are offered in 60", 77", or 83" widths (dependent on the width of the trailer). 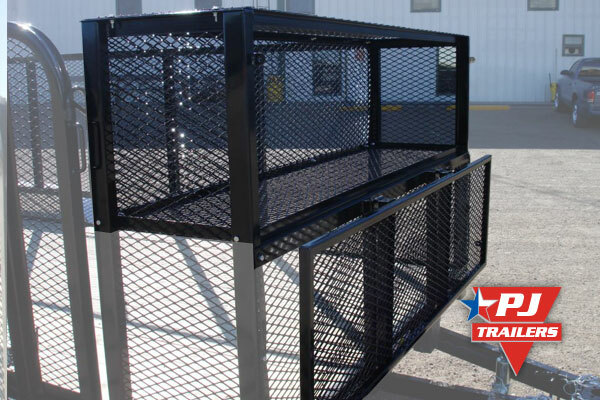 This cage is great for storing gas cans, trimmer line spools, shovels, and more. 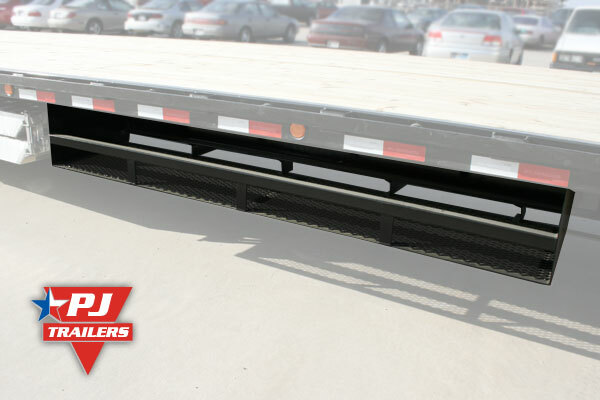 Side mount wood racks (aka dunnage racks) are a great place to store your 4x4 lumber, commonly used when hauling pipe. 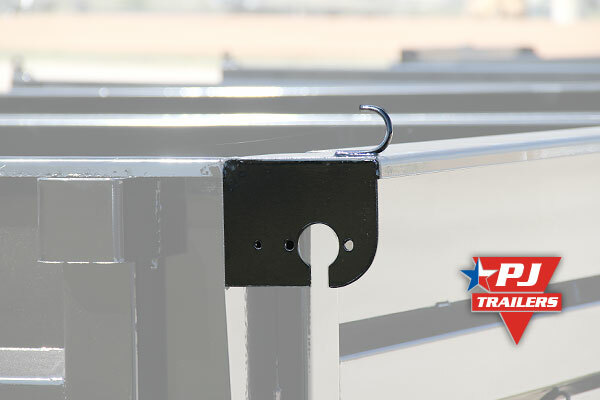 This 8 ft rack mounts under the deck and is welded to the main beam of the trailer. 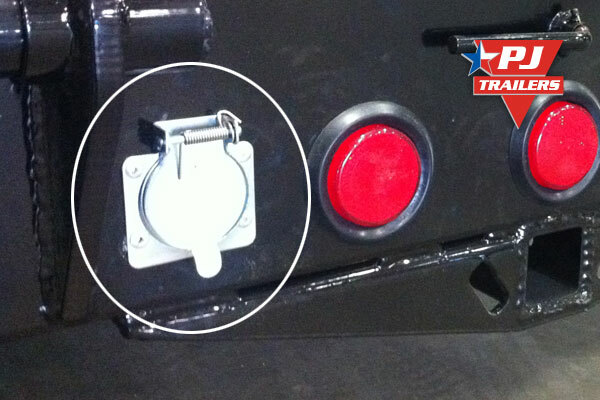 This option is very popular on purpose built hot shot trailers. 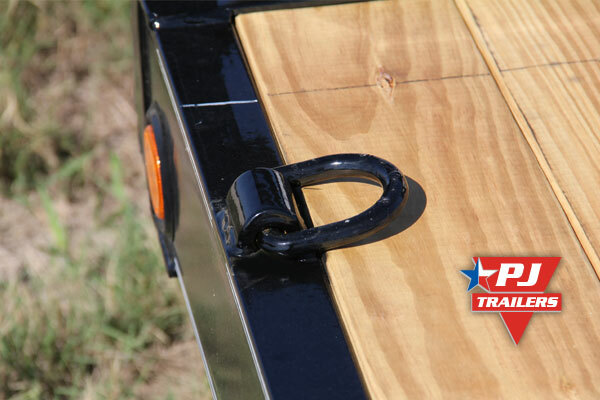 Update: We now offer a second wood rack option that has a hinged door. 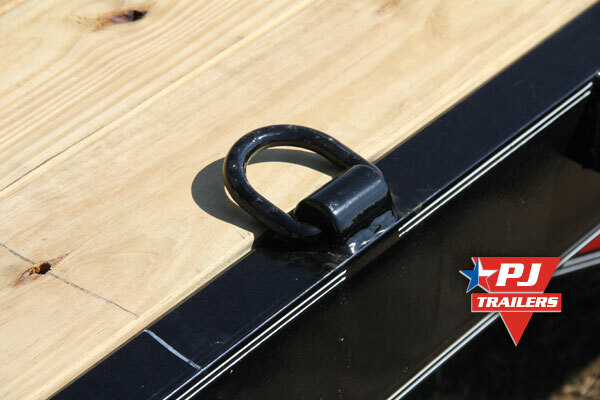 This allows you to drop the door to store bulky items like tarps and toolboxes in the rack. 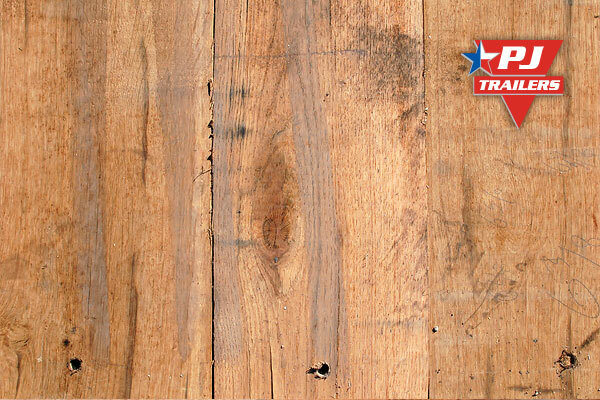 Rough oak floor is our most durable floor option. 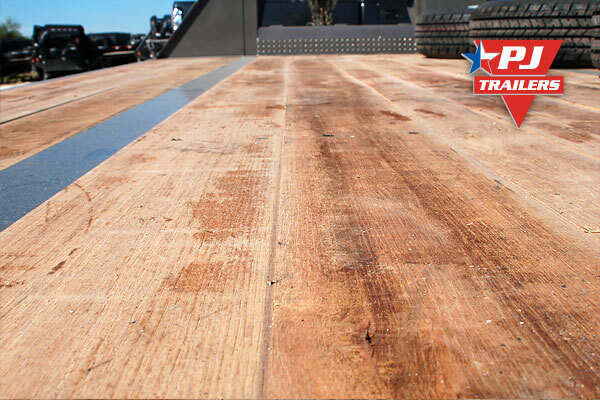 We always recommend using rough oak for any trailer that will be hauling steel tracked vehicles. 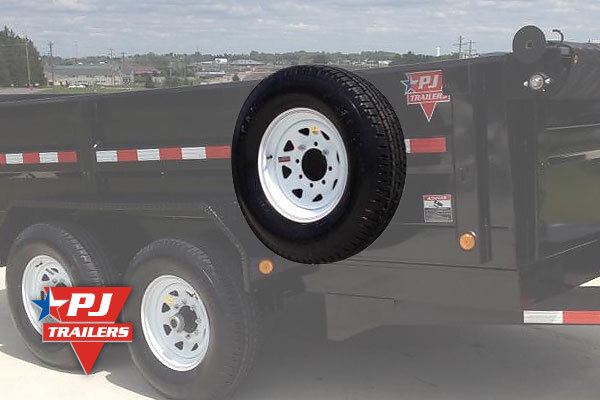 The dump spare tire and mount option is a full size spare that is installed in front of the fender on the passenger side just below the dump side support. 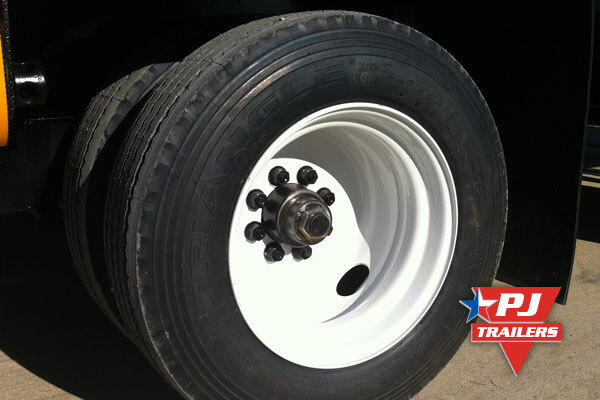 The spare tire and mount can also be mounted on the driver side if requested. 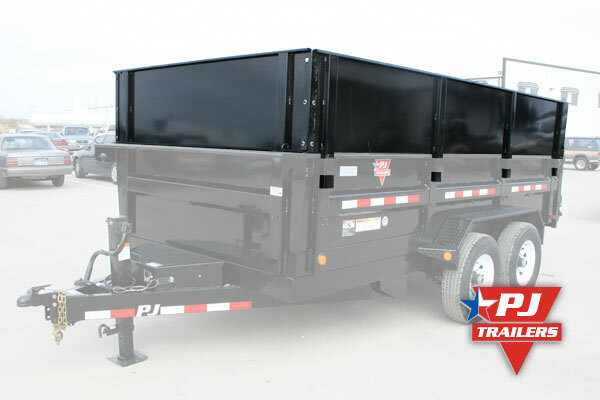 Need taller sides on your dump trailer? 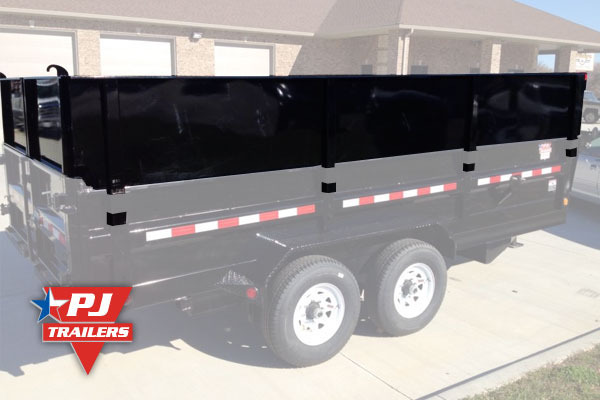 We offer HD 24" Dump Side Extensions on our 83" wide models. 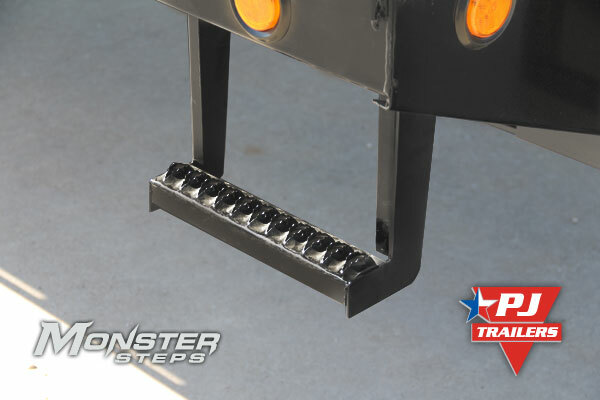 These sides slide into the stake pocket, bolt to the dump bed, and in the front corners. 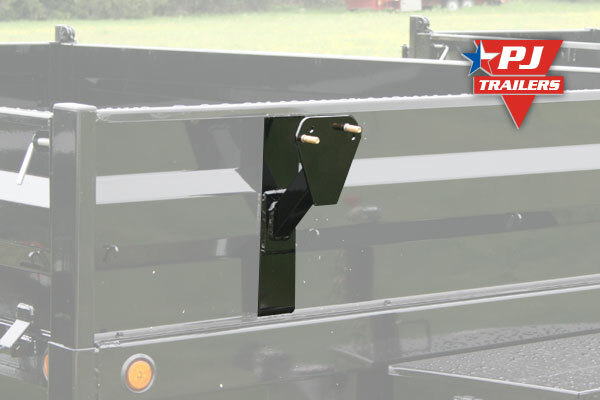 These HD sides are made from heavy 10 gauge material, making them the toughest side extensions on the market. 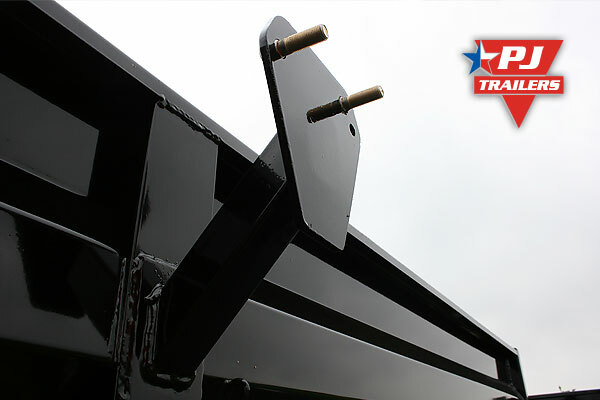 Need taller sides on your dump trailer? 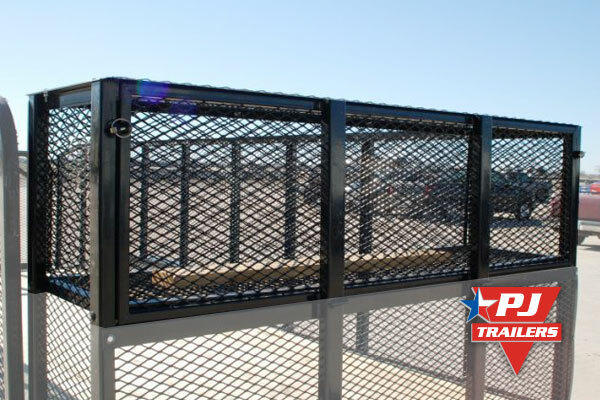 We offer Expanded Metal Side Extensions on our 83" wide models. 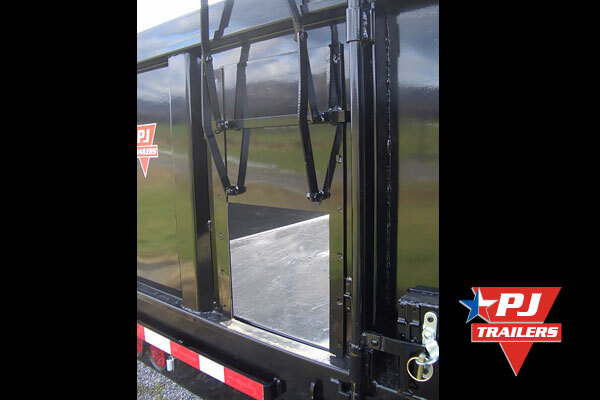 These sides slide into the stake pockets and tubing on the rear doors. 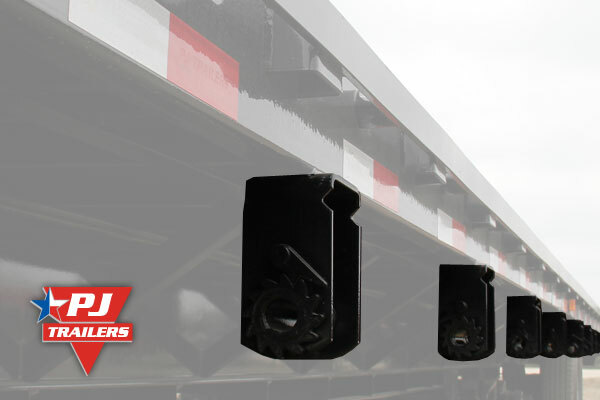 Compared to solid side extensions they have less wind drag and are lighter. 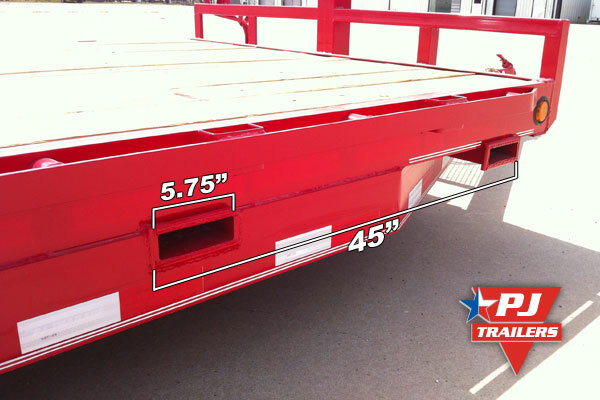 Need taller sides on your dump trailer? 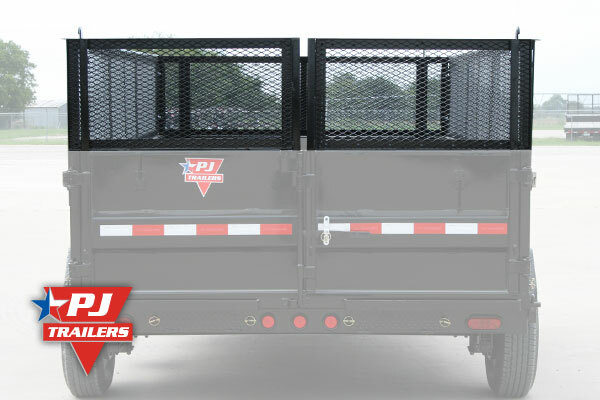 We offer steel side extensions on our 83" wide models. 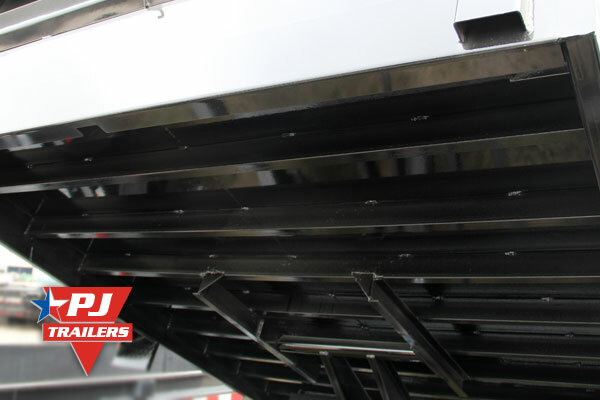 Steel side extensions are smoother than wooden side extensions are easy to install and remove. 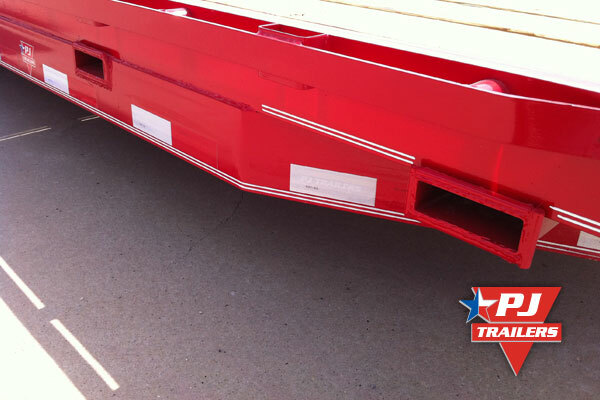 These sides slide into the stake pockets and tubing on the rear doors. 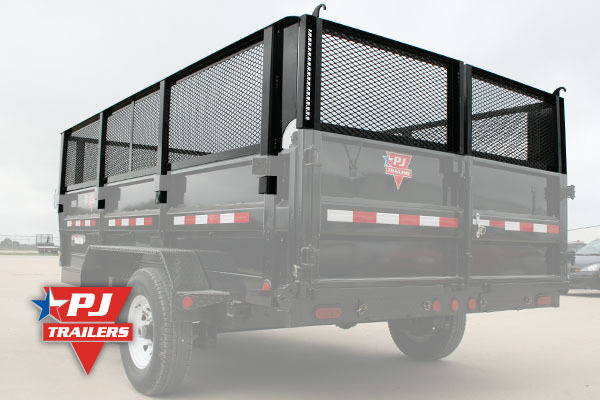 We also offer Heavy Duty Side Extensions and Expanded Metal Side Extensions. 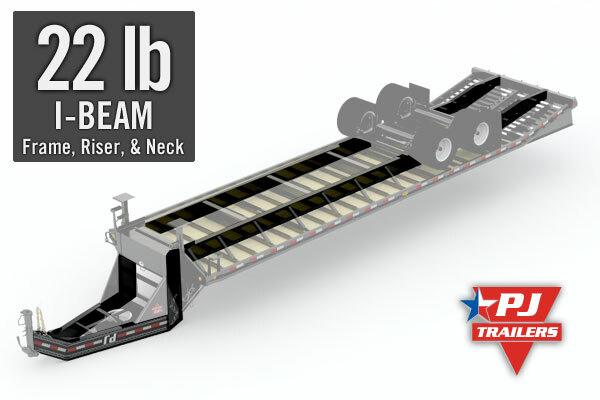 We use kiln dried No. 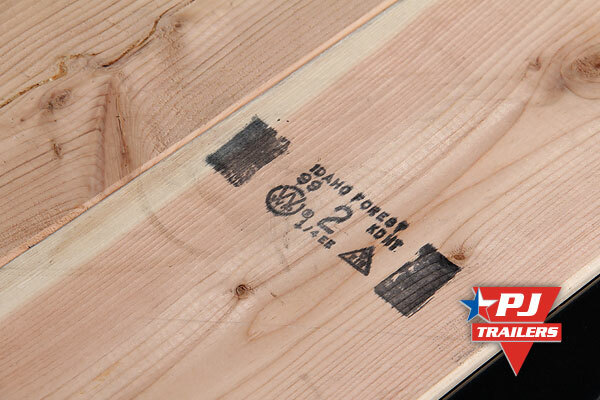 2 Douglas Fir lumber that is typically sourced from the Western United States. 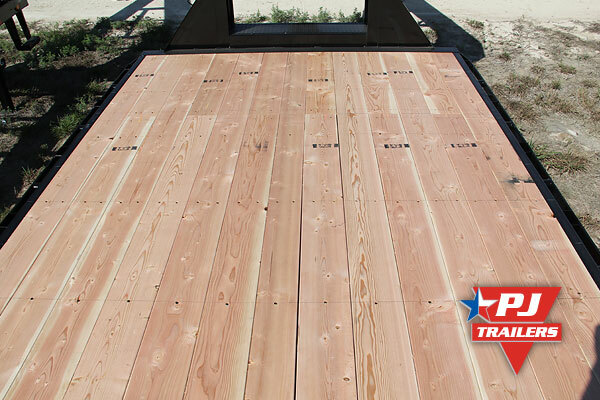 Douglas Fir makes excellent trailer decking as it's known for being very dimensionally stable, strong, and having good rot resistance. 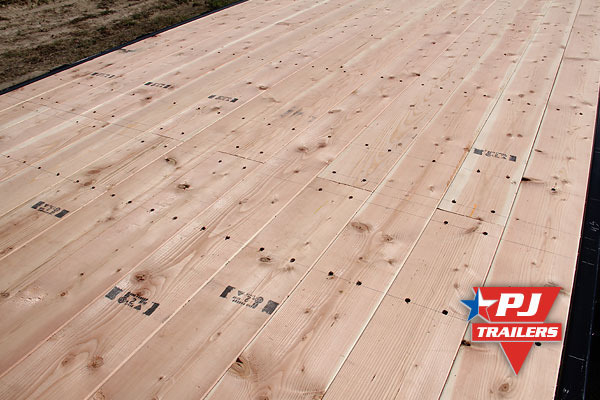 Douglas Fir is also known for having fewer and smaller knots than Southern Yellow Pine. 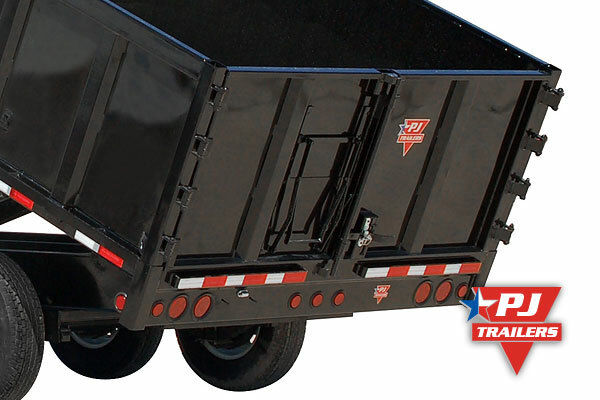 Almost all states have tarping laws that apply to dump trailers requiring you to keep your aggregate from escaping the dump trailer bed. 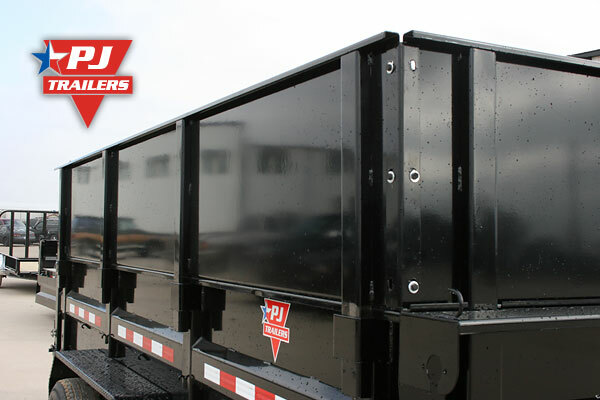 Even if your area does not require a tarp, we encourage using a tarp as they reduce material and cargo loss. 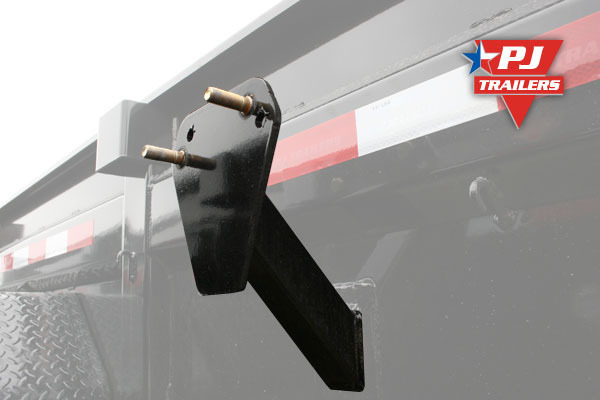 Our tarp brackets making adding a roll-up tarp to your dump trailer painless. 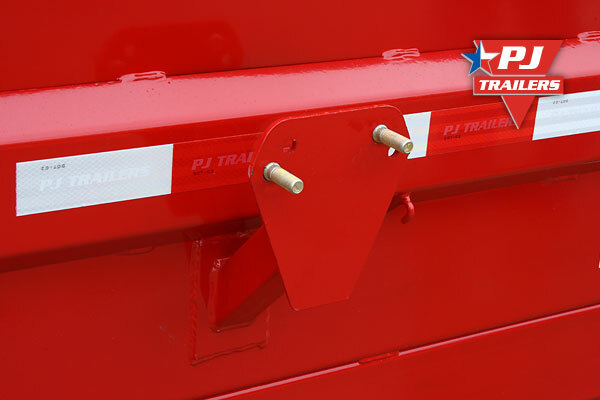 The standard hydraulic unit on a PJ dump or tilt trailer has a power up and down hydraulics. 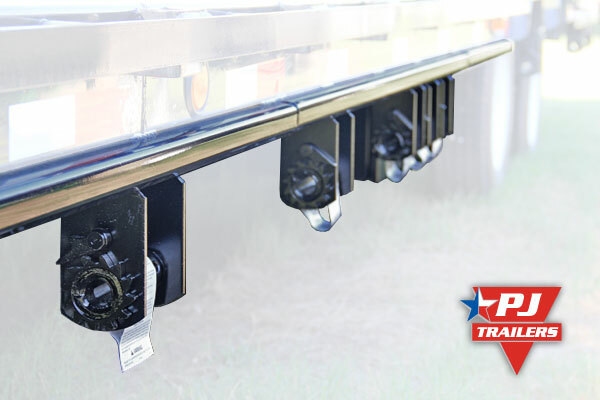 With a power up/power down plus gravity down unit, you reduce the current draw by using gravity when lowering your tilt or dump trailer. 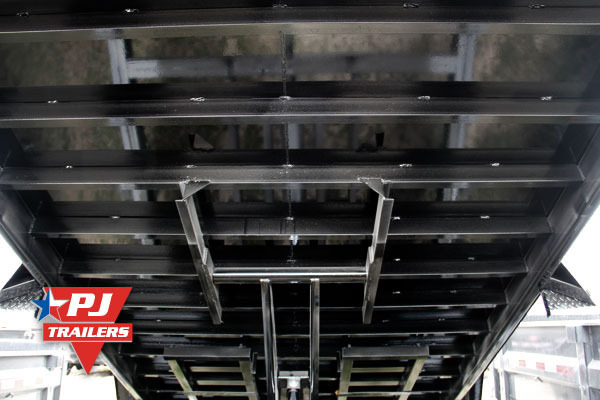 This innovation reduces battery consumption and increases your raise and lower cycles per day. 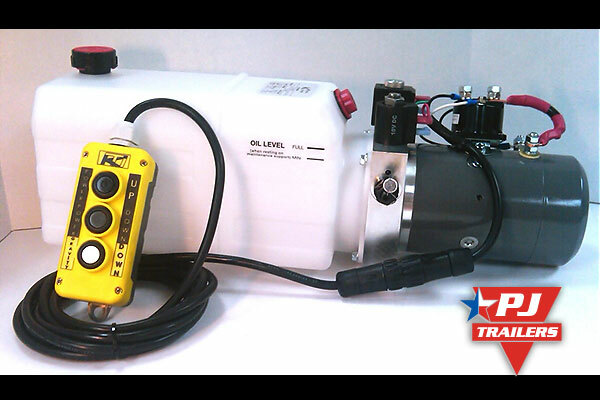 This pump is not compatible with our wireless remote kit. 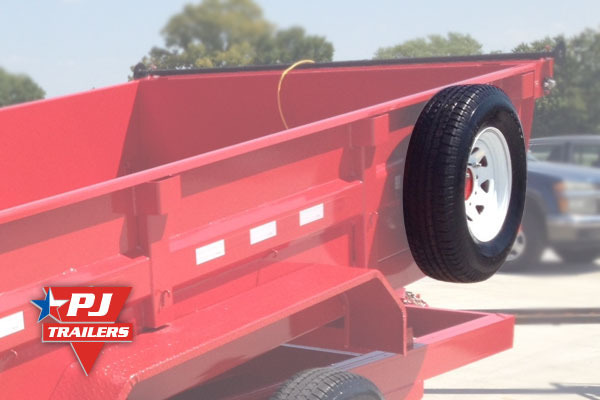 Our standard dump trailer cross-members are on 16" centers. 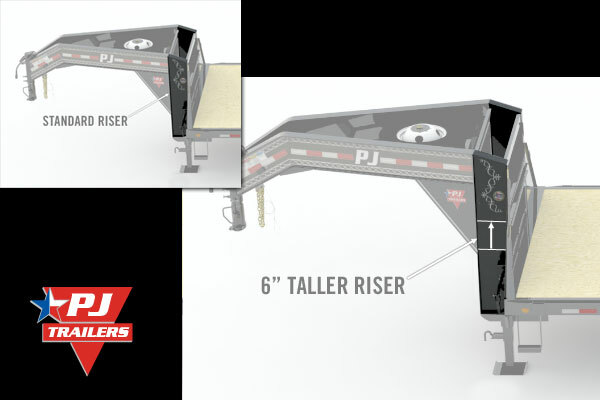 The upgrade to 12" on center cross-members reduces the span between cross-members on the bed of your dump trailer. 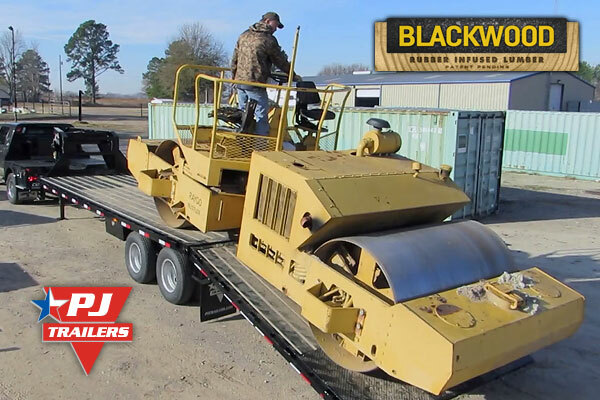 This option is most popular for users that are loading heavy equipment or large rocks. 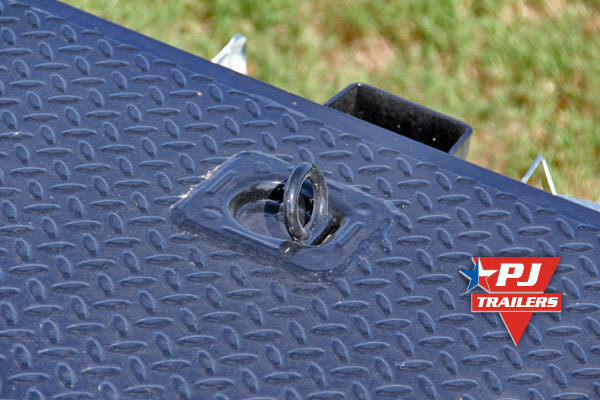 With our V-nose option, the front deck of the trailer is extended forward to make a "V" over the tongue. 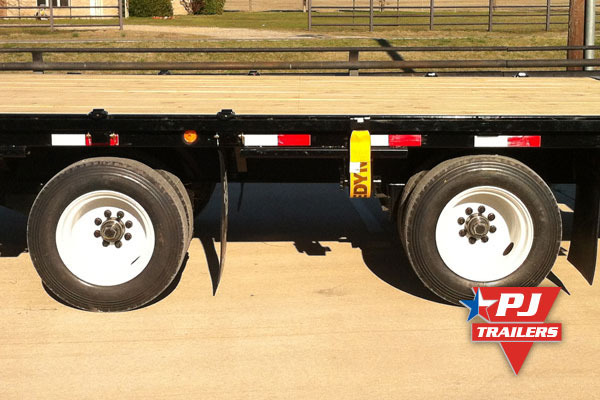 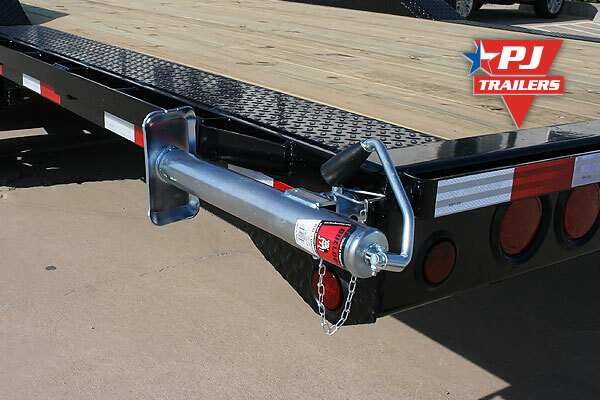 The rub rail is wrapped around the frame, allowing you to drive off the front of the trailer. 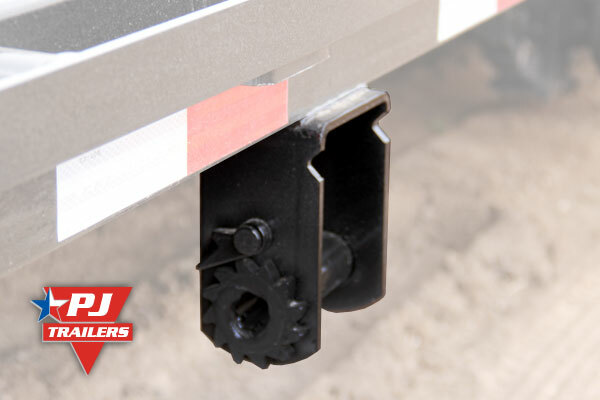 This option works great for snow mobile trailers and ATVs. 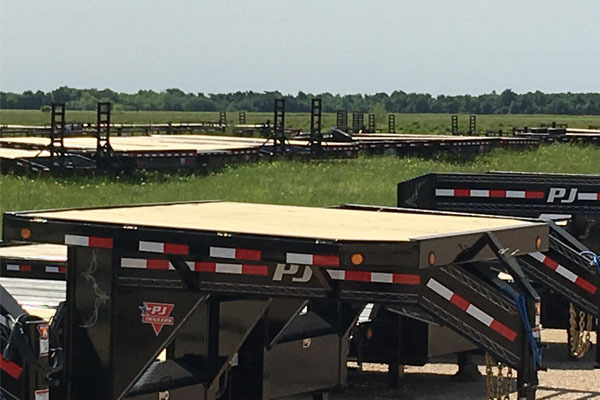 Our V-nose deck option is available on our L5 and L6 deckover trailers. 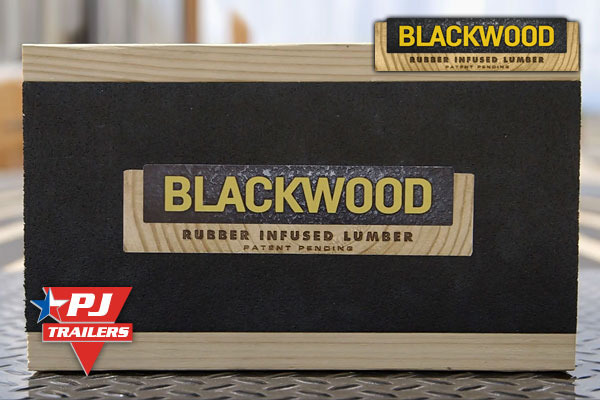 Blackwood is a wooden lumber product with rubber infused to the top of each board. 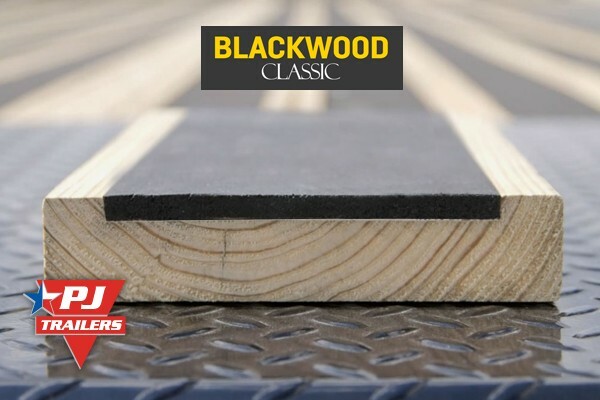 Blackwood Classic has a rubber insert that covers approximately 75% of the board surface. 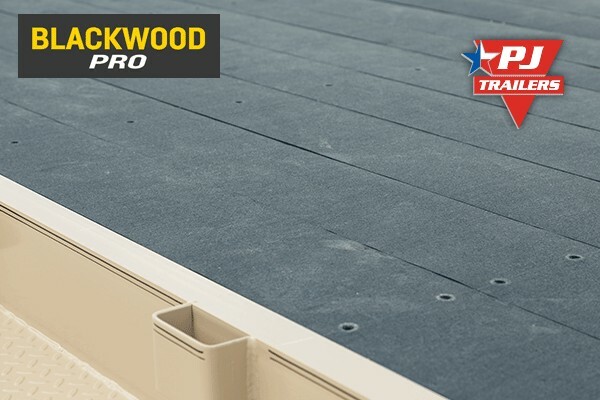 Blackwood Pro has rubber layer that covers the entire top surface of each board. 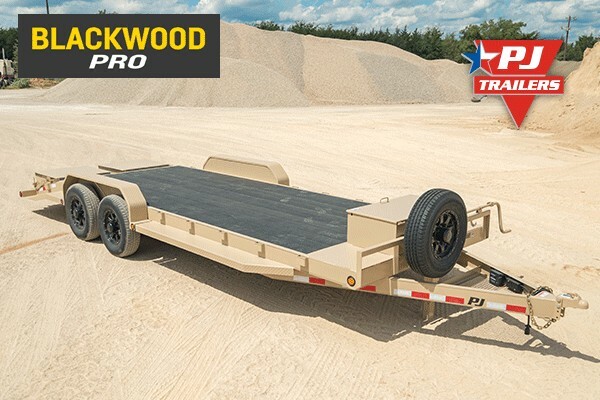 Blackwood solves several age old trailer lumber problems. 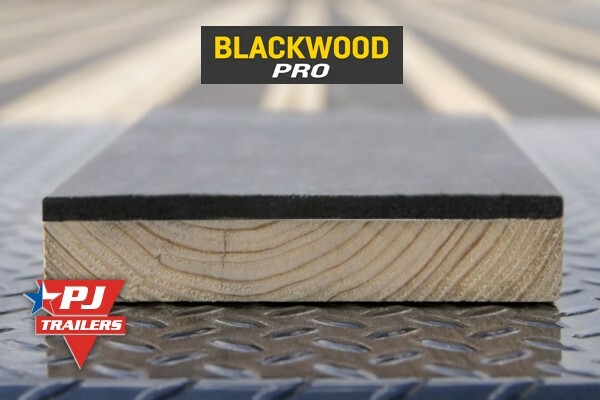 Blackwood considerably improves traction over typical lumber. 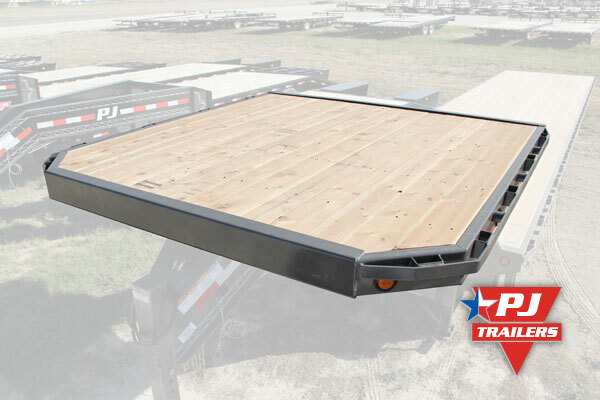 Better traction makes for easier loading and unloading especially in wet weather conditions. 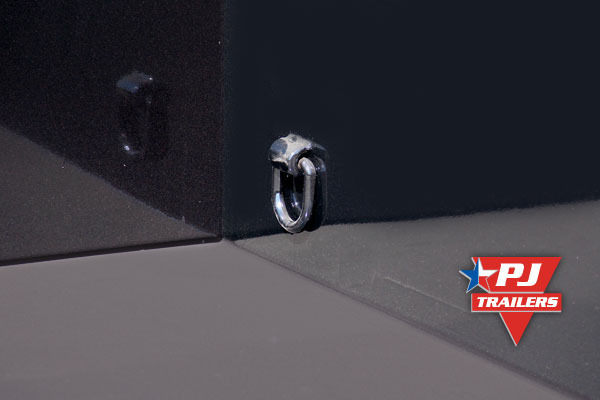 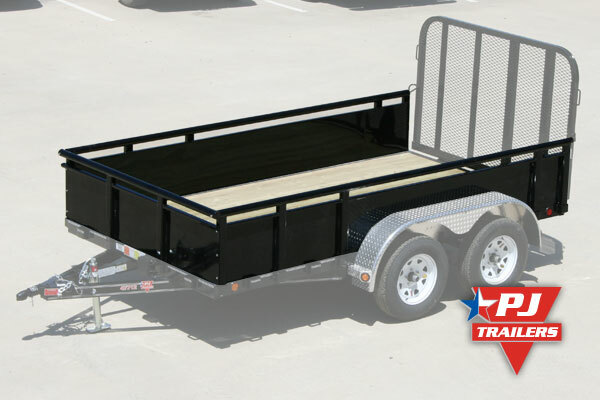 Also, with the tactile surface of Blackwood your cargo is less likely to slide and shift while towing your trailer. 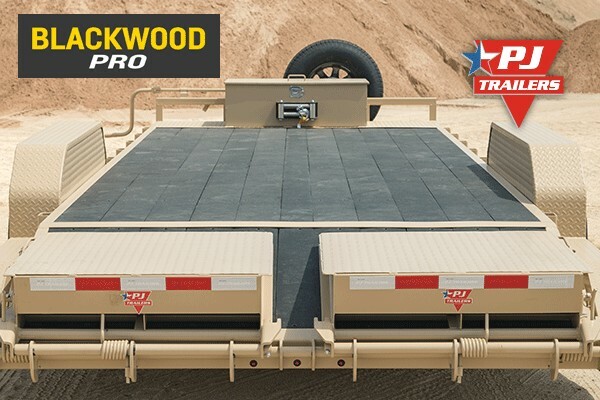 Blackwood is an exceptionally durable trailer deck solution. 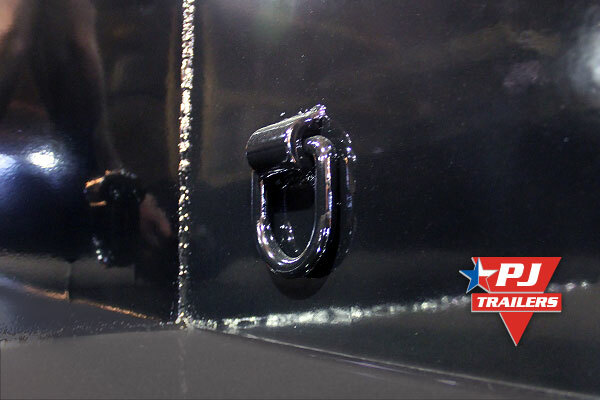 The industrial grade rubber in Blackwood is also used in other extreme wear, high impact applications like absorbing bullets at indoor gun ranges. 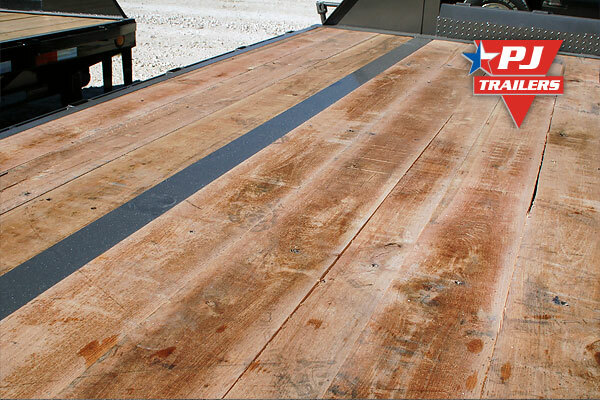 The rubber helps absorb heavy impacts that might crack or damage typical lumber. 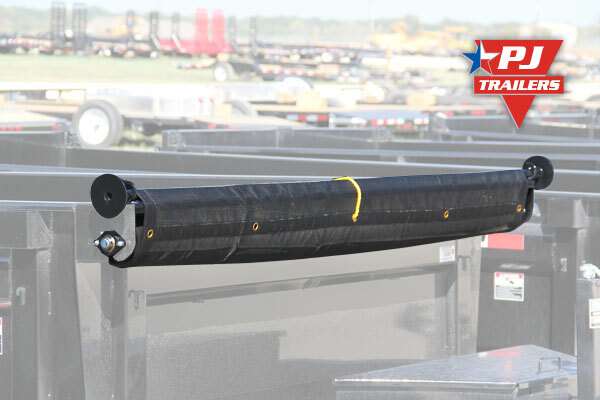 This ultra-durable material also can handle twisting and torque of equipment like skid steers without issue. 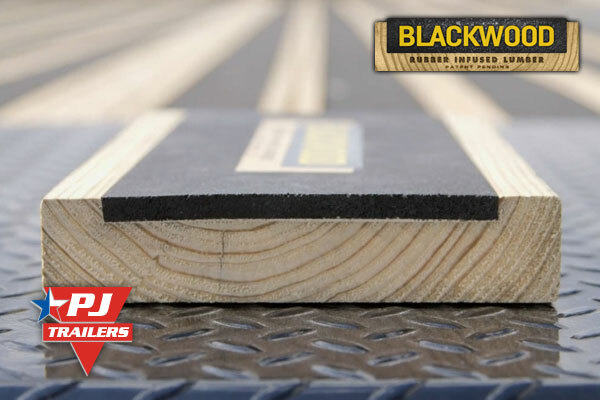 Blackwood is made with Weyerhauser Treater Series Lumber that is even better than our standard pressure treated No 2 pine. 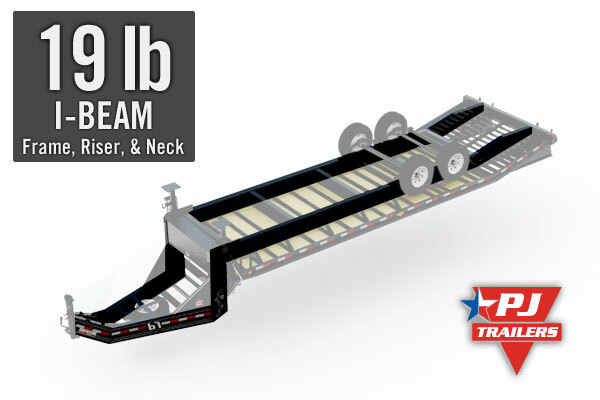 Treater series lumber goes through strict computerized grading that greatly minimizes warping. 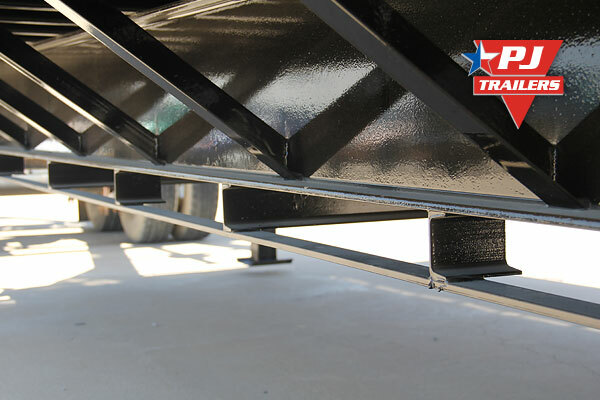 This patented process makes for a very consistent and stable trailer deck. 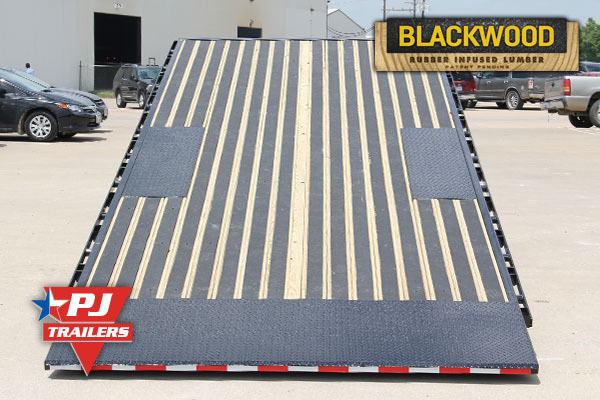 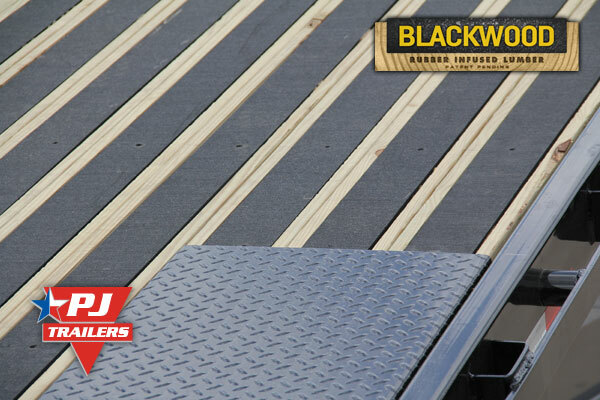 Blackwood increases your traction when walking on the trailer deck. 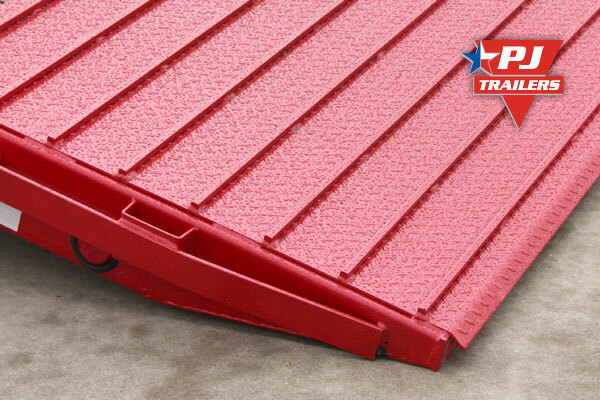 This helps prevent slipping & falling, improving your personal safety. 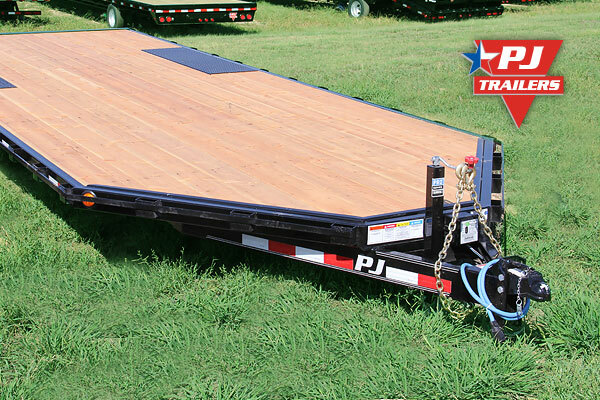 Also, if you spend a lot time walking or working on your trailer deck it is more comfortable for your feet and knees than typical lumber. 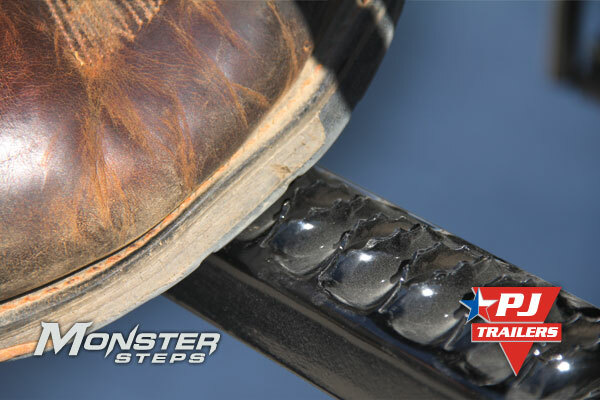 Since the majority of the surface of Blackwood is rubber, it doesn't fade and age like wood. 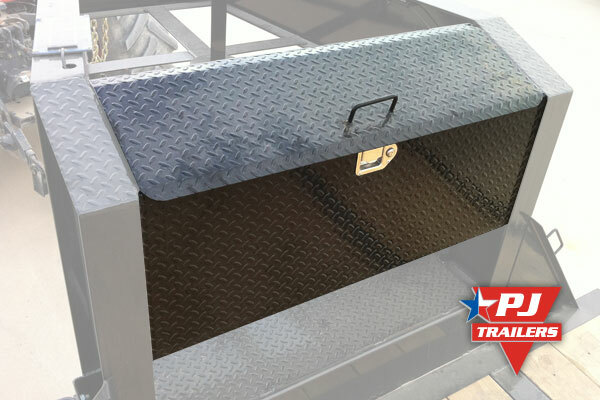 It is UV resistant, won't stain, and can be easily cleaned with water. 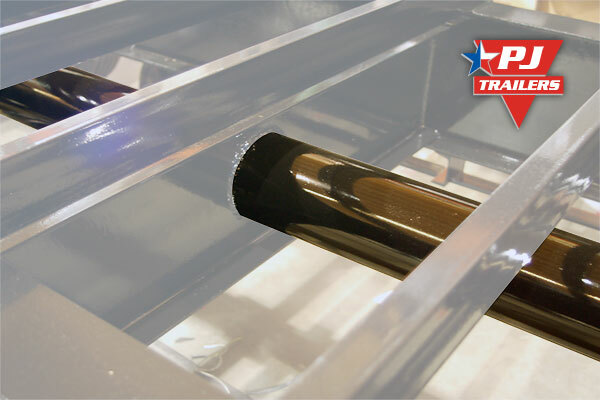 The rubber surface also helps keep the board unified to reduce cracking or splitting as it ages. 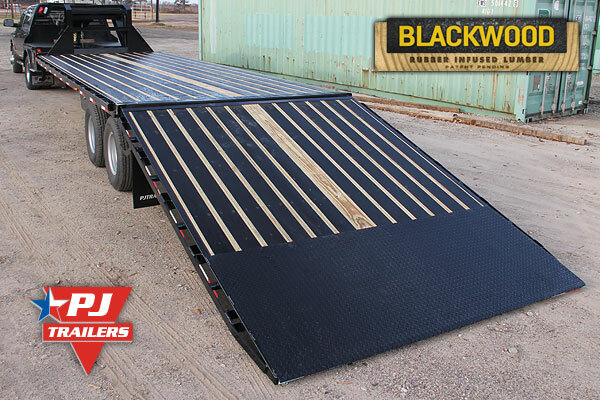 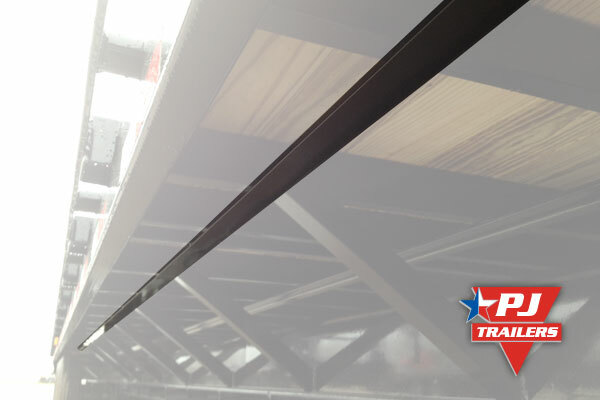 With Blackwood your trailer deck will look newer and more professional for many years to come. 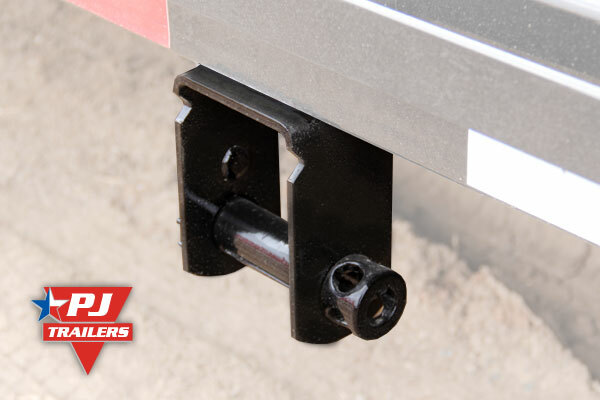 If you are adding Blackwood to tilt or hydraulic dovetail we also would recommned adding our square traction bars for the ultimate high traction setup. 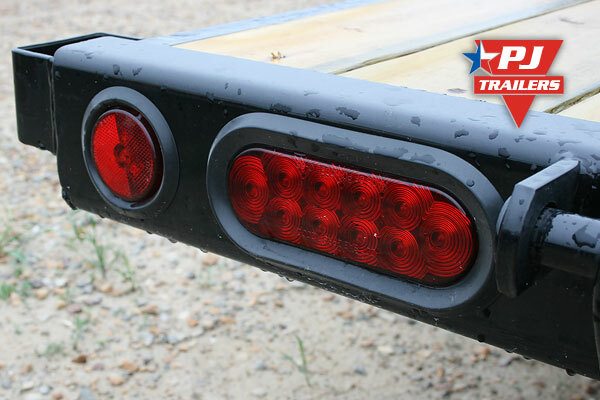 We recommend the 7-way Plug in the Rear Bumper option. 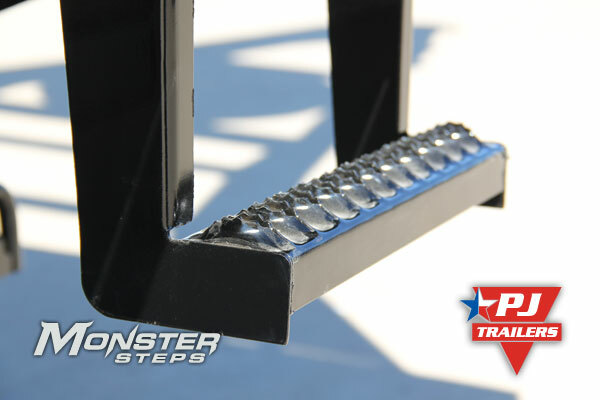 Monster Steps are now the standard side step for PJ Trailers.